Omnicore Agency is a full-service digital marketing agency dedicated to providing excellence in SEM, SEO, Analytics, Conversion, Reputation and Social media. We’re passionate, data-driven, and eager to help your business succeed. We focus on results and every client we work with gets a personalized experience and we value our ongoing education and development. Being ahead of the curve in our industry is important to us, so we work to keep ourselves fresh on all of the latest best practices so you don’t have to. Give us the marketing challenge and we’ll use the latest tools and strategies to develop solutions. Join us on our journey and you can expect a results-oriented approach that cuts a clear path through the digital detritus. We also like to think that we have a good sense of humor, but you’ll have to see that for yourself when you work with us. Give us a call, send us an email, or check us out on social media. We’d love to meet you and talk more about what we can do for your business. Learn what makes us tick. We’ll give you a hint. Experience. Expertise. Results. Yep, we’re pretty awesome. Omnicore is the brainchild of Hafiz Muhammad Ali . He laid the foundation of the agency in 2009 and has build it up from ground zero. He is a perfect example of a leader born with instincts and passion, and has changed the lives of many. He is passionate about digital marketing and has a lot of certificates and credentials to his name but more than that, he is passionate about building businesses. Currently, Hafiz is serving Omnicore as an advisor, and also helping other companies and startups take their business to the digital world and become a part of the digital economy. 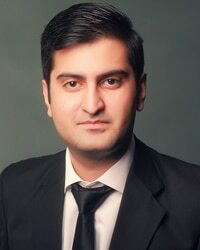 As Chief Executive Officer at Omnicore, Salman brings his unique expertise and experience of coming from a business background (graduate from LBS) and his experience working with top tier digital marketing agencies which allows him to both understand clients business and deliver services that delivers positive ROI for clients. He has several certifications to his name such as MarketMotive Certified Practitioner, Digital Marketing Institute graduate and Hubspot Inbound Marketing Certified. He also advised and consulted a private investment firm which invests in companies like Facebook, Salesforce and Marketo etc based on their inbound marketing activities and future growth potential.